Distracted driving results when a driver shifts their focus away from the safe operation of the school bus. Talking on the phone and eating are common examples of distracted driving, but many other factors can affect a school bus driver’s focus on the road. 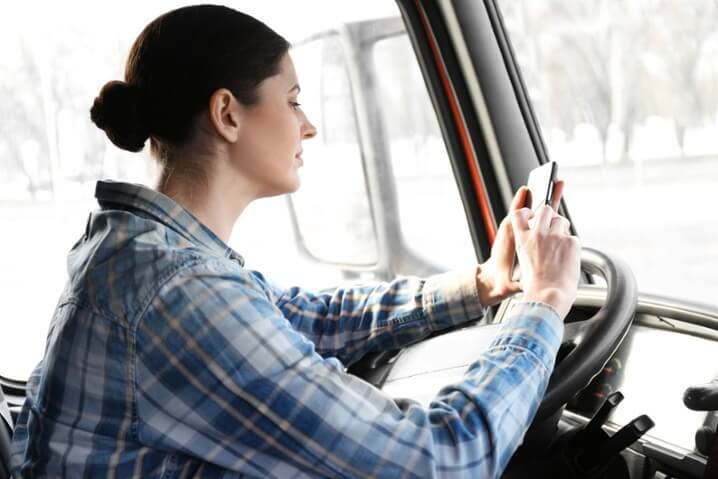 Transportation directors and dispatchers can eliminate distracted driving with effective policies and thorough training. A no cell phone and no eating policy for drivers and students has become the norm in most districts. Another important step is to make sure your drivers know their routes extremely well. A driver who knows their route inside and out is less likely to become distracted or flustered, and can drive confidently without the use of GPS assistance. When you are planning or adjusting your routes, you can minimize the potential for distracted driving by consciously avoiding common road hazards like multi-lane roads, heavy-traffic areas, and areas where the speed limit is high. Creating routes that are efficient and safe is one of the best ways to lay the foundation for excellent, distraction-free driving. distracted driving 2Rowdy passengers can be a major distraction for school bus drivers. Creating, sharing, and enforcing effective behavior policies helps encourage good student conduct on the bus, and in turn, bus drivers avoid having to drive in a loud and distracting environment. With a mutual understanding of behavior expectations, children can enjoy a safe and peaceful ride and help reduce distracted driving. It’s important to note that safety comes from the top down. Parents, bus drivers, and school officials should be involved in educating students on proper bus behavior. Parents and students alike must understand that a bus driver can enforce the rules of the bus, just as a teacher may enforce the rules of a classroom. Another helpful strategy for maintaining a safe environment is installing school bus security cameras. A security camera takes the pressure of monitoring students off of the bus driver so they may focus on driving. A school bus security camera helps protect children, prevent bullying, and resolve incidents. Maintaining a distraction-free environment is crucial to the safety of the students on a school bus. SafeSchools offers a full suite of transportation safety courses to help reduce some of the factors that lead to distracted driving. Because driving a school bus can be distracting by nature, ensuring a safe trip to and from school must require an effort from both driver and passengers. Remember to maintain focus on the road and avoid all three types of distracted driving: visual, manual, and mental. There is a multitude of new technology that will help ensure a safe ride, from security cameras to wifi and apps. While bus driver training will ensure a safe ride, proper coaching of students, from parents and teachers, will help ensure a distraction-free one. Riding the bus is indeed a two-way street.